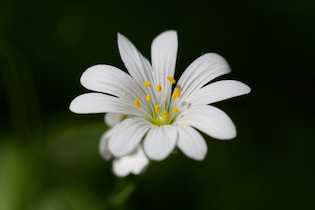 If you focus on a focal plane that is sufficiently in front of your subject, or past it (relative to depth of field), the subject will appear blurry. Is there some way of telling purely from the resulting blur if focus was too near or far? EDIT: the original question has now gotten some good answers, but I noticed it got misinterpreted a couple of times. That indicates it wasn't posed clearly enough, so I edited it a bit. Furthermore I'll illustrate the point a bit more below. Take this setup with subject, lens and film or sensor in which the subject is sharply focused (the focal plane intersects with it). Now imagine if the focus is placed behind the subject. This is called "back-focus". The projection of the subject onto the film/sensor becomes blurry, with the actual convergence point for light from the subject being behind it. Light point sources from the subject become discs (or a bokeh shape specific to the aperture). Next, put the focus in front of the subject. This is called "front-focus". The projection again becomes blurry, but this time because the convergence point for light from the subject is in front of the film/sensor. So the blurred projection is actually inverted. The question was then, is this difference in blur in some way identifiable through nothing but the resulting picture? As for the reason for asking, I shoot film so I don't have immediate feedback regarding the result. I keep notes of my shots but I don't have EXIF data, so things such as focal length and distance to subject are an approximation at best. Sometimes I shoot in low light and have to rely on manual focus. Things look sharp in the viewfinder but after development I find out focus has been slightly missed. Being able to figure out if it was too near or too far is then very useful, and can teach me whether it was user error and how to pay attention to it, or whether a specific camera or lens seems to have slight focusing issues and how I might compensate for that. It depends. In many cases, it may actually be possible without any further visual aids in the picture. 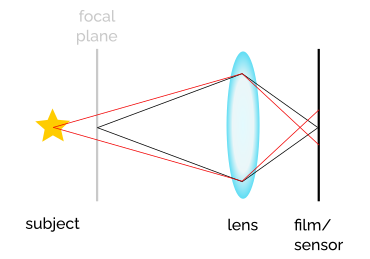 Many lenses, if not most, will show different longitudinal chromatic aberration in front of and behind the focus plane. If you scroll down just a little bit on the linked page, you will see this demonstrated with a picture of a focus test chart. With this lens, the blur in front of the focus point will have purple colour fringing, while the blur behind the focus point will seem greenish. ... and say for sure that this out-of-focus area is behind the focus plane. When the aperture is positioned to minimize vignetting, the bokeh shapes for objects that are too far is rotated by 180° compared with objects that are too near. 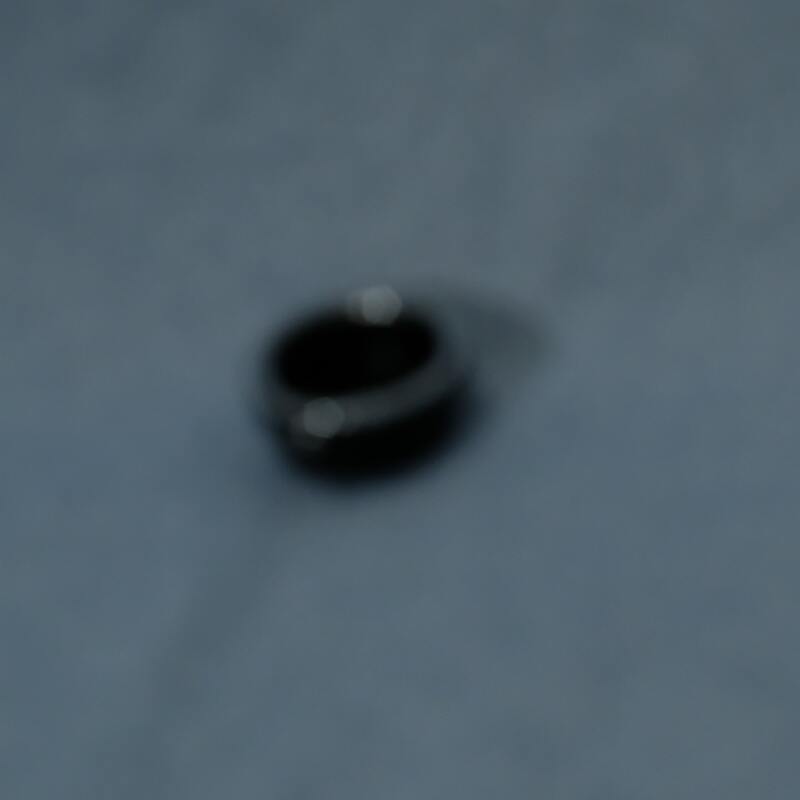 (The aperture image is reflected through its center point.) 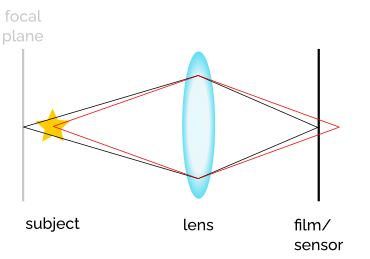 If the arrangement of your aperture blades is not symmetric around the center point, you can try finding "reference bokeh" that are clearly nearer or farther than the focus plane to compare with highlights on the subject to see whether the bokeh shapes match those that are near or far. My answer only deals with "human" ways in differentiation - that is: No software, only your eyes and hands. If I have no reference (as in: you blind me, you set the focus distance, and then I can only look through the viewfinder, but cannot change a thing), the answer is: it depends on what I can see. Take, for example, an alley of trees: one in front, one where the subject stands, and one in the distance. When I see that the subject is not sharp, I can try to tell whether the tree in the foreground or the one in the background is more in focus. If I have no reference - e.g., as Yaba mentioned, when taking a photo of a aeroplane with blue sky in the background and no foreground, then I have no way to know exactly (my guess would be that focus is too close, however, as planes tend to be somewhere near infinity). The easiest way to find out usually is to slightly change the focus and see where it is (again, this works better with a reference than without). But generally speaking, there is no sure way to differentiate - too short a focus distance does not lead to (significantly) different blur compared to a focus distance that is too long. If the plane is too far or to close is just from the blur hard to say. 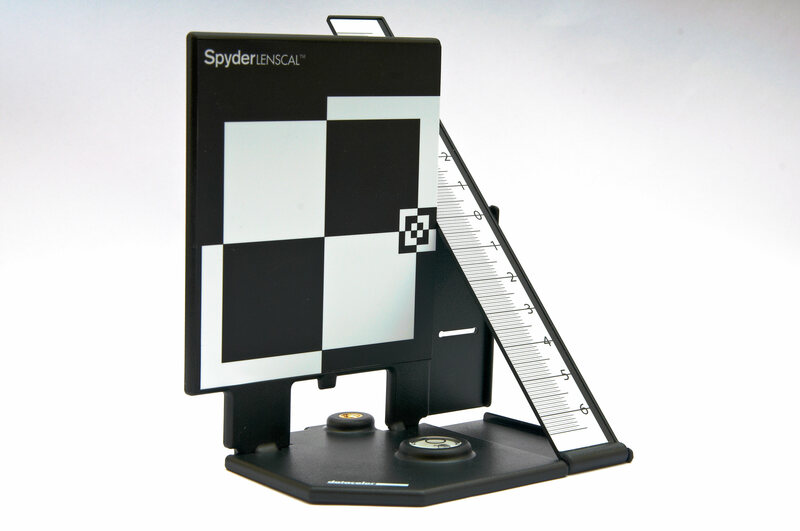 the easiest way is to have objects in front and behind and see which one is sharp and so you could determine if it is too far or too close... this is the same way as it is done by calibrating the autofocus of a lens with a lenscal tool like this. without such objects its hard to tell it. 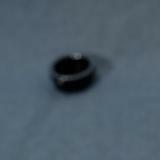 it is technically not possible to detect from the blur alone how far or in which direction the image is out of focus. This is the reason why contrast-detection autofocus systems have to "hunt" for focus by repeatedly changing the focus distance and checking whether the image got better or worse. 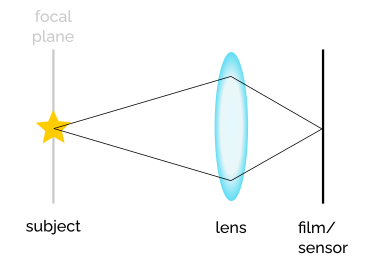 In contrast, phase-detection AF systems know (theoretically) exactly how far and in which direction they have to change focus to achieve optimal sharpness. Yes, if the content includes edges at different distances. If you can tell that a further object is more blurred than a nearer one, then it's further from the plane of focus. That means that the focus is too short. Conversely, if the distant objects are less blurred than those in the foreground, the focus is too long. With a plane in the sky it gets hard. Unlike other objects at different distances available (birds, blouds,…) you cannot compare it easily visually. Some lens/camera combinations can track the focus distance and will write it into the EXIF. However this is not very reliable, but could give you a hint. When you know the plane type and therefore can look up its real size you can calculate its approximate distance and compare this to the focus distance. You dont haave anything in the plane of focus You dont have option to move focal distance or multiple images to conpare life a focus system does. You dont have subjects st varying distances thus varying degrees out of focus. You have one subject at one distance and its out of focus, the wuestion is near or far? Light doesnt converge / focus exactly the same. Green light different than magenta light. In the lens formula not only fo you have a focus distance AND depth of field and diffraction. You also have a depth of focus at the sensor/film. In a long tele fast lens shot wide open. You will have FAR whites have a green edge outline and near oit if focus whites have a magenta edge outline. This can be blue yellow spherochromatism also. But green magenta is most common. It occurs mostly in fast WIDE open lenses (more loght hitting bad curve on outer edge of lens) so i can be seen even in a wide FAST lens wide open. Shutting the shutter tighter, eliminated this. Not the answer you're looking for? Browse other questions tagged focus blur focus-distance or ask your own question.